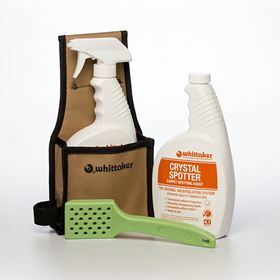 Whittaker offers a variety of spotting kits and tools to accommodate your cleaning needs. 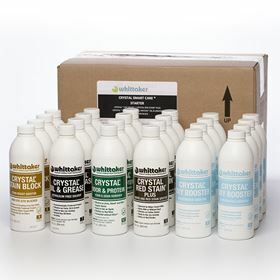 Ease of use promotes quick response and treatment of spots before they can become permanent. 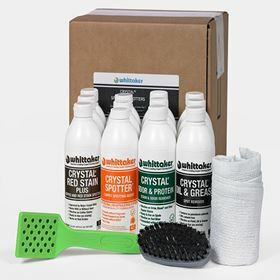 Simple cleaning instructions are included with each kit. 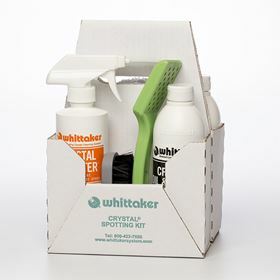 Save time and money by having all of your spotting tools available in one handy carrier. 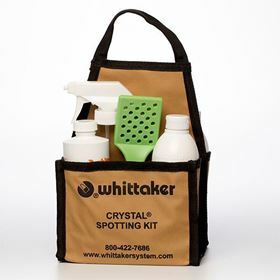 Crystal Spot Tool Kit comes with Crystal Spot Tool Holder, two 22 ounce bottles of Crystal Spotter, and one Crystal Spot Tool. 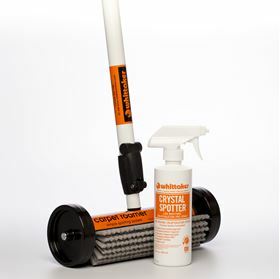 Tool Holder made of sturdy 600 Denier Polyester with a steel belt clip, and canvas loops to hold the Spot Tool.